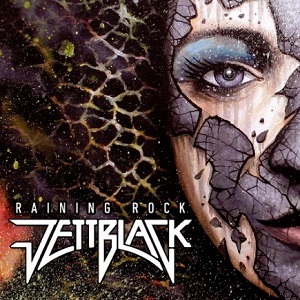 At the beginning of June, Jettblack are due to release their second album, Raining Rock. Before then we have the first single from the album being released. For the single they've chosen the title track of the album - Raising Rock. I can see that causing a bit of confusion with people asking when "Raising rock" will be released - the date depends if they mean the single or the album. I'll say one thing, if the title track is any indication of how good the album will be then I suggest you don't waste any time and order the album now. This is one hell of a good track - well written with a great catchy chorus. Great vocals, some nice guitar work and pounding drums, this is probably one of the best songs Jettblack have released so far. The B sides (for those that don't know why they're called that, ask an adult), or bonus tracks on the single are a different version of "Raining rock" featuring a guest appearance from Udo Dirkschneider, singer with U.D.O. and former singer of Accept, and "Feel the love", which features a guest appearance from Ian Paice (Deep Purple). The version of "Raining rock" featuring Udo Dirkschneider is superb. It's off to a flying start as Jettblack have written a really impressive song, and perform it brilliantly, but Udo has one of the most recognisable voices in metal and I think his voice works really well here. His appearance is fairly limited, with Jettblack retaining most of the vocals, but it's made a great version. As to which I prefer - the normal version or the version with Udo - now that's a very difficult question as both are incredibly strong, and it's hard to pick a favourite, so I'll declare it a draw. "Feel the love" opens with a nice drum solo (don't worry it's less than 20 seconds so doesn't have time to get boring - more than you can say for drum solos at gigs). It's another great song. The single, Raining Rock will be released on 8th May via Spinefarm records.